New York defense attorneys and the New York State Bar Association are currently calling on the legislature to overturn the state’s “Blindfold Law,” which allows important evidence—such as witness statements and/or police reports—to be kept from the defense until right before trial (i.e. the day the trial begins). Senator Avella recently announced that he intends to introduce the Senate version of the bill when the legislature returns. In other areas of the law (i.e. in civil cases), both sides get early and full discovery and the ability to cross-examine witnesses in depositions before trial. As a result, parties are able to assess the value of a monetary case, for example, before going to trial. Unfortunately, criminal cases in New York do not operate like this due to New York Criminal Procedure Law. The existence of any pending criminal action against a witness the people intend to call at trial, if the pending criminal action is known by the prosecutor to exist. 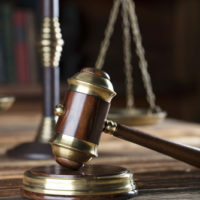 New York is one of only four states that allow for this kind of last-minute delay in providing evidence to the defense, arguably making it more difficult for defense attorneys to thoroughly prepare and ultimately raising concerns about issues related to wrongful convictions, mass incarceration, and unequal access to justice. Withholding valuable information from one side arguably pressures many defendants to enter guilty pleas when they otherwise wouldn’t precisely because there is no transparency. Certain counties—such as Brooklyn and some upstate counties—have long chosen to use open file discovery instead precisely because of this. The reform legislation proposed by the State Bar Association would require that prosecutors turn over witness statements, electronic police reports, sworn statements, and records of any property recovered from defendants within 15 days of arraignment on an indictment. After 90 days, expert witness information, police reports, witness statements to police, grand jury transcripts, and trial exhibits would also be handed over to the defense. If you have been suspected or accused of a crime, it is crucial that you start working with an experienced criminal defense attorney right away. Your attorney will need to obtain any and all information relevant to your case in order to ensure that your rights are protected. Phillip J. Murphy has been representing those accused of crimes in New York for more than 20 years. We are prepared to fight aggressively to defend you. Contact our office today for a free consultation.